TheYBF.com got the chance to chop it up with “Power” stars Omari Hardwick and Lela Loren. And they got candid about what it was like to work with late comedian Charlie Murphy before his death. More inside…. Charlie Murphy was battling leukemia and few people knew about it when he was filming scenes for the upcoming 4th season of “Power.” In fact, after his death it came out that none of the cast even knew he was sick. He died at the age of 57 on April 12, 2017. 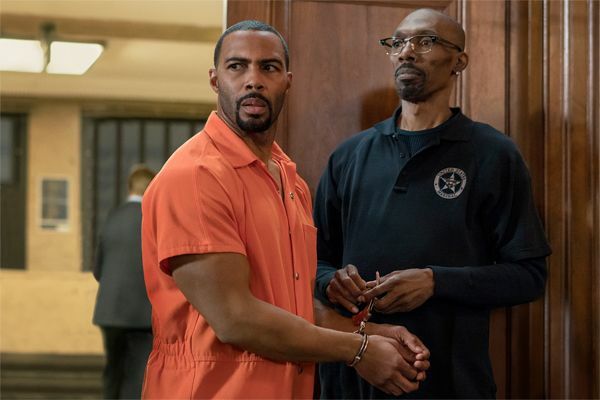 With last night's new season premiere, we now know Charlie plays a prison guard named Marshal Williams starring opposite of Omari Hardwick (James “Ghost” St. Patrick) who got arrested for the murder of FBI Agent Greg Knox. We all know he didn’t do it, but he’ll be fighting for redemption as he goes up against the judicial system, the media, old friends, new friends and enemies. YBF correspondent Unique Chapman sat down with Omari Hardwick and his on-screen mistress Lela Loren where they spilled a few tidbits on what it was like working with Charlie Murphy on set. “Perhaps you’re asking in terms of us knowing him as a comedy force, but you ain’t coming to Power to bring comedy. His task was a bit different in this,” Omari said. “The scenes were long and intense, so I think you’re going to see a side of Charlie Murphy that people don’t know. It’s exciting,” Lela said.